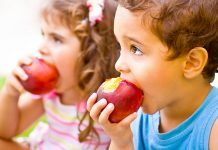 The Preschooler is generally a child who is aged between three and five and is due to go to school in one or two year’s time. As a toddler, your child will have developed many basic skills that games for preschoolers will build on. These two preschool years see the start of social skills developing, as the child learns about playing and sharing with other children. 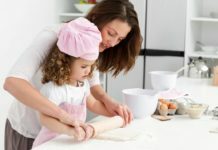 During the year before going to school, your child will need to develop a set of skills to enable her to make the transition to this new phase in her life. 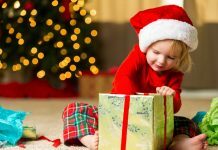 A preschooler develops a greater control over the major muscles in her body and her hand-eye coordination becomes more accurate. Ball games for preschoolers are good activities; and throwing, catching, kicking and rolling balls towards targets or goals are great fun. 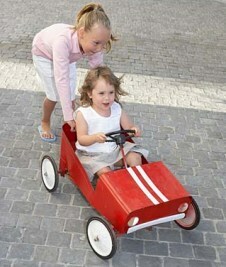 By this age, most children can learn to pedal a tricycle or bicycle and this is wonderful exercise and fun. Many people put outdoor play equipment in their yards for their preschooler, which gives them the opportunity for climbing and swinging activities for continuing muscle development. Sand play and water play are wonderful games for preschoolers, and they introduce basic science theories of volume, measurement, cause and effect. Because a child of this age is so curious about all things, helping them to establish a small garden is a good educational activity that also teaches responsibility. Give them foolproof seeds to plant, show them how to water correctly and watch their delight as the new shoots come up. Fine motor skills are a key area of development at this age, so use some games for preschoolers that allow for practice. Pre-writing exercises are popular and you will find books for your preschooler to use. 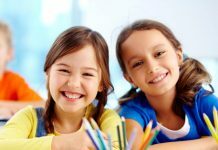 Drawing, coloring, painting and other creative activities like play dough, cutting and gluing are enjoyed by preschoolers. 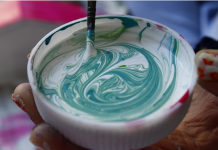 Teach about colors and show your child how to create new colors by blending paint. Use paint for stamping shapes made from potato cuts, leaves from the garden, play dough cutters and other household items. Reading to your preschooler will teach her to love books so that when she starts school, reading will come more easily. Children soon decide on their favorite books and want to hear the same ones over and over again; soon she will be reciting the words as you read them. Sticker books encourage preschoolers to make up pictures or match shapes using the stickers provided in the book. 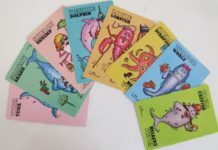 Any games for preschoolers that teach shapes, sizes, colors, comparisons and patterns are teaching them valuable pre-reading skills that will help them at school. 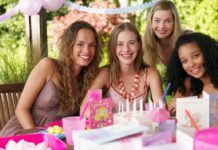 Encourage the development of social skills in your preschooler by attending a playgroup, booking them into a preschool or arranging play dates with the children of friends. 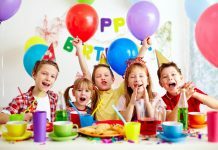 By the age of four, most children like to have little friends come to play, but they will need to be supervised and entertained with a couple of your favorite games for preschoolers, as well as being left alone to play together. 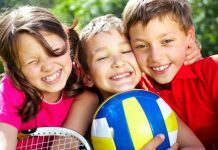 Keep play dates to a couple of hours to start with, and extend the time as the children become used to playing together. By choosing age-appropriate games for preschoolers, you can help your child develop and grow, as well as learn skills that will help her when she starts school.